Following PLATEAUS since the beginning makes the release of their debut LP all the sweeter. Coming from the Art Fag label where it all began, we now have this self-titled album brimming with twelve glinting guitar-pop gems. Considering we covered all of their earlier singles, there was no denying our anticipation for this one. The best part about this LP is it delivers on all the strongest points we heard in those singles, offering at least one re-recorded track from each that blows the previous one out of the water. That leaves us with a good chunk of unheard material on top of that, burying us track-by-track with a propulsive pop edge that’s spearheaded by fuzzy, surging guitars, pulsing bass lines and gritty, melodic vocals. You could easily pose the argument that every last one of these burnouts is an album highlight, whether it’s the sludgy sounding “Oh Man,” the sunny, upbeat “Open Skies” or the searing, exhilarating distortion of “Do It For You.” With songs like these, the overall aesthetic of this record almost calls to mind another like Terry Malts’ Killing Time for a few reasons – short, straightforward pop song structure, noisy, buzzsaw guitars and an overall heated, blown-out complexion that will straight up burn you if you get too close. And that’s just one way to give you an idea of what you’re encountering here. Listen to the few songs we’ve left below and you’ll see what this is all about. If you’re looking to buy this one on wax, head on over to Art Fag Recordings where you can snag a limited white vinyl copy of the album. Don’t sleep! 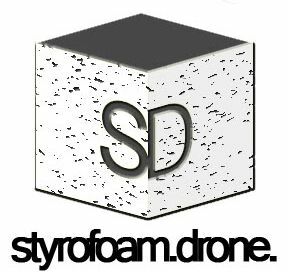 Posted on December 7, 2012 December 7, 2012 by styrofoamdronePosted in LP, Reviews, Still Spinnin'Tagged garage rock, pop, surf rock.